The sense of smell is the only sense that is fully developed at birth. Scent crosses the placenta; babies, in fact, are making memories in utero. The scents from pure plant essential oils can bring nature into your home environment and help maintain good health to those who use them safely. Your precious child is your top priority, and as parents, we’re forever concerned that we are providing our kids with the best and safest remedies for their health and well-being. 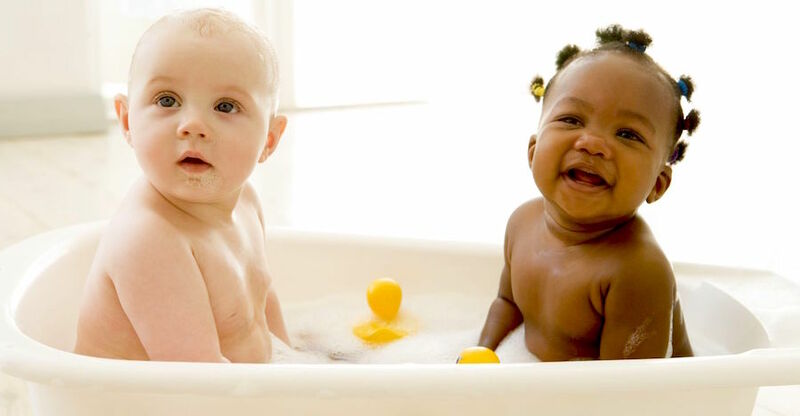 Before we dive into essential oil use for toddlers, let’s begin with the most effective and safe use for infant care – the herbal bath. Teas, or aromatic hydrosols (the water left over from distilling essential oils) from medicinal plants such as lavender Lavandula angustifolia (Mill. ), orange blossom Citrus aurantium (L.) var. amara, chamomile Chamaemelum nobile (L.) All., dill Anethum graveolens (L.), lemon balm Melissa officinalis (L.), and catnip Nepeta cataria (L.), are time-tested remedies for fussiness, teething, fever, colds, colic, irritability, and nearly everything that childhood throws at us as caregivers. Teas and hydrosols are far less irritating than essential oils, and with their long history of use, parents can rest assured they are employing a modality that has a proven track record and will provide the safest delivery of herbal wellness to their child. Though hydrosols are available for purchase, herbal teas for baby’s bath are easy to make at home. Add about 1/2 ounce of dried herb (or one ounce of fresh herb) to one quart of boiling water. Cover, remove from heat, steep until lukewarm (about two to three hours) and strain into tepid bath water for your little one. Allow the child to remain for 10 to 20 minutes, if possible. The skin is a wonderful organ of absorption, and herbal baths are legendary and historic remedies that will usher your child into the botanical realms of Nature’s healing powers at an early age. There’s a lot of confusing information on the safe use of essential oils for supporting children. Infants and kids under the age of two should not be subjected to even dilute essential oils. The internet is full of claims that essential oils are safe and effective for a wide variety of childhood ailments. Well, ….maybe. It is also disturbing to hear of “adult” remedies being translated to childhood uses, potentially causing more harm than good. Tiny humans need special care, and depending on their age and weight, their tender systems should be pampered with gentle remedies such as herbal therapies, as discussed above. If your child is over the age of two, a mild dilution of safe and gentle essential oils may be used externally or diffused into the air. You may choose to introduce some safe and well-diluted essential oils into first aid situations that are normally tended to at home, such as minor scrapes, burns, or bites, or to simply prepare your rambunctious one for bedtime. Diffusion (dispersing essential oils into the air using a nebulizer, ultrasonic diffuser, or heat diffuser) is the safest application for children. They will inhale small amounts of the aromatic molecules without direct skin exposure. Any of the essential oils mentioned above may be added to a diffusor for day or nighttime use. Ideally, use the intermittent setting on your diffusor for sporadic and safe delivery. Depending on your child’s sensitivity and/or the essential oil, a good average is about five minutes on and 15 minutes off. Add two to four drops into the water receptacle of the diffuser; it doesn’t take much, and a little goes a long way. Research shows that even when a scent is below detectable thresholds, it can influence mood and behavior. It may be best to start with a single essential oil rather than blending several. This way, if irritation occurs, it’s easier to identify the culprit. Add one to three drops of one essential oil to one ounce of your favorite carrier oil. Shake well, and apply a small amount to the body or in the bath. Even the safest essential oils must be diluted for topical application to diminish the possibility of irritation. Most vegetable oils are well tolerated on skin. If your child is especially sensitive, try the carrier oil directly on the skin without the addition of any essential oils. Occasionally, sensitive children may have a skin reaction to a single carrier oil. Always perform a skin patch test (as instructed above) before adding the essential oils. Blend the essential oil into the carrier oil, shake well, and apply to feet, back, tummy, or wherever your child needs it. Avoid mucus membranes, stay away from the face, and never use essential oils in the ears, mouth, or other orifices. Check in with your child to be certain she/he enjoys the scent of the single note or blend. Aromatic memories are being made with every inhalation. If every application is accompanied by love and cuddles, the aroma will surely bring a lifetime of good memories and secure feelings! Four decades of experience in the natural products and health care industries make Mindy Green, MS, RA, RH (AHG) a genuine, national authority on botanicals. Her wellness-industry expertise is complemented by her active, longstanding licensure as an esthetician, herbalist and aromatherapist. 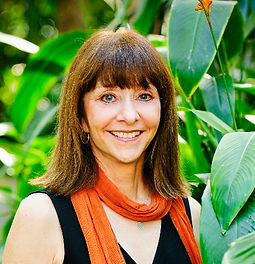 She has taught clinical aromatherapy at the Boulder College of Massage Therapy, UC Boulder, U MN, Metro State College in Denver, and is an ongoing lecturer for Academy of Integrative Health and Medicine fellowship, and the IHeLP program at the University of Arizona's Center for Integrative Medicine. Mindy has lectured internationally on holistic skin care, lifestyle, nutrition, herbs, and essential oils.